Let’s face it: cleaning your makeup brushes can be such a drag, which is probably why many of us across the world have pink and brown stained bristles sitting in disarray on our dresser. Well no longer! I’ve figured out one single, simple and quick secret to cleaning my brushes, every single time I do my makeup. I used to clean my brushes by first rubbing them against paper towels dampened with brush cleaner or waterproof makeup remover, and then washing out the remover with shampoo or handwash. The whole process took ages, and usually involved me washing it through 2 or 3 rounds of shampoo because I couldnt get rid of the oily film the makeup remover left. Now it takes me no more than 5 minutes, and my brushes are clean as a whistle, on the first pass. The secret, my friend, is bar soap. Yes, that soap that my parents used before shower gel became the norm. Those cheap, solid bars that lather up fantastically, and act as scrub and soap all in one. 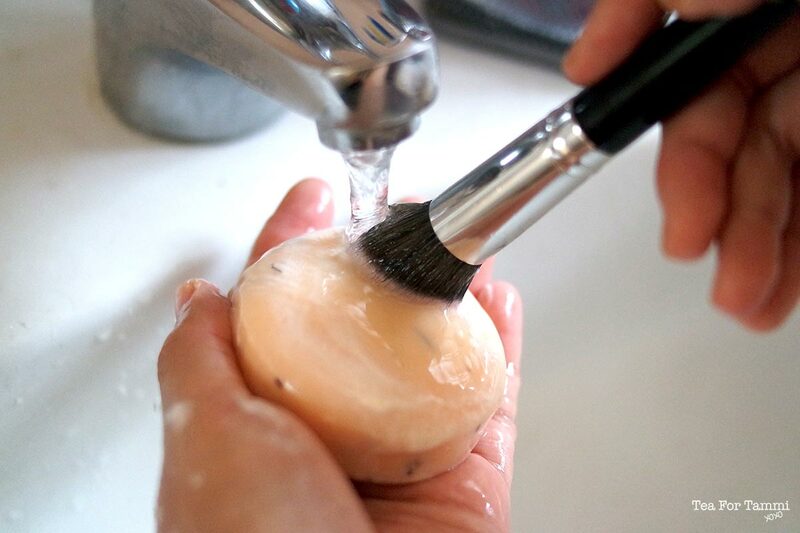 That same bar soap is your gateway into using clean brushes to do your makeup, every single time. Because the soap is in solid form, it provides just the right amount of friction that will wash the pigments right off the bristles. It doesn’t leave much of a residue if rinsed properly – though I must admit my brushes dry a bit stiff after – and it’s gentle enough on your brushes because it’s gentle enough for your skin! How cool is that? It’s my absolute favourite way to keep my brushes clean, and it even cleans my Beauty Blender well too! Do you have a favourite way to clean your brushes? I’d love to hear all about it in the comments down below! Brilliant idea, Tammi! I am gonna try this! I just use my old time friend baby shampoo to clean my brushes. Sometimes I do it twice a day hahaha if they’re kinda dry after few hours, I am gonna wash them again. OC? lol Anyway, I LOVE your photos! I am a new fan! Will add you on my bloglovin right away! Aww i can’t find your blog on bloglovin. Can you claim it? genius! never thought to use a bar of soap! i usually use baby shampoo and it becomes a huge ordeal (and mess!) – so trying this! !